The site had been found when George Bass, Robin Piercy, and Don Frey had come to Sicily in the early spring to join Freebooter, a 13-ton shallow diving training vessel belonging to Sub Sea Oil Services. They set out with the Freebooter’s crew and three divers in search of possible underwater sites along the western coast of Sicily. The weather they encountered, however, was unseasonably bad, and in almost two months, they were able to go to sea only nineteen days. This permitted a preliminary survey of Sciacca and inspection of five other known sites. Only fragments of pottery were found at sites which had once been reported to have had hundreds of amphoras strewn on the bottom. In some cases, looting was so thorough that it was difficult to determine where further wreck material might lie covered, and if there were hull remains suitable for a preliminary joint excavation, the team was unable to locate them. 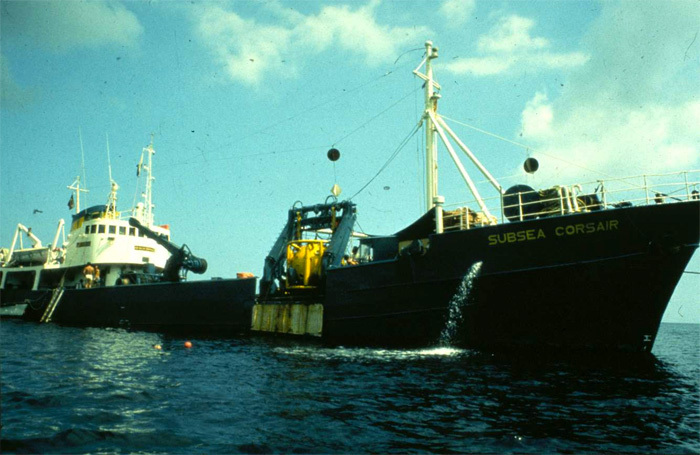 In 1976, Giunio Santi, the director of Sub Sea Oil Services, led the efforts to document this 3rd-century BC shipwreck. INA (then AINA) collaborated with SUBSEA to survey the site, with Don Frey and Matthew and Susan Katzev joining the project. Teams of four Italian divers lived for a week at a time inside a pressurized chamber on the training ship Corsair, and were lowered in this pressurized PTC (personnel transfer capsule) to the wreck, where they could work outside for hours without daily decompression. 1977 Frey, D. “La Secca de Capistello, Lipari.” INA Newsletter 3.4: 1-4. 1978 Frey, D., Hentschel, F, and Keith, D. “Deepwater Archaeology: The Capistello Wreck Excavation, Lipari, Aeolian Islands.” International Journal of Nautical Archaeology 7: 279-300. 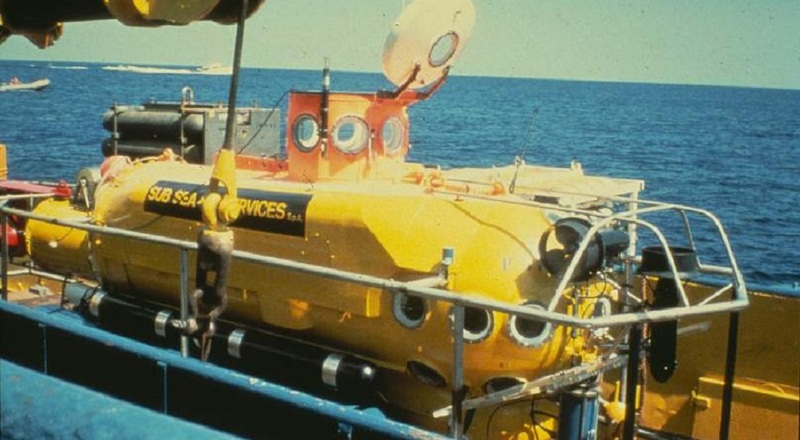 1978 Frey, D. “Saturation Diving – Nautical Archaeology’s New Frontier.” INA Newsletter 4.3: 1-5. 1979 Frey, D. and Keith, D. “Saturation Diving in Nautical Archaeology.” Archaeology 32.4: 24-33. ABOVE: SUBSEA’S training vessel Corsair, which was base of operations for the project (Photo: INA).